Jim's music is a peaceful drift that surrounds you and envelops you with an unhurried relaxing ebb and flow of synths that is very soothing and very comforting. It is apparent that Jim is well versed in coaxing just the right sounds out of his equipment and then crafting that sound into the marvelous soundscapes that you will hear on Southern Cross. Southern Cross is Jim's latest effort and is aptly named after the asterism the Southern Cross in the constellation of Crux which is visible in the Southern Hemisphere. The individual songs on this album are named after the stars that comprise the Southern Cross and the album closes out with a track simply called Southern Cross. (Alpha, Beta, Gamma, Delta, Epsilon, and Southern Cross) Gazing into the night sky and observing the familiar patterns in the sky gives you a feeling of wonder or simply one of reverence for what you are looking at. The vastness of space and the beauty that such a pattern as the Southern Cross represents obviously struck Jim with an urge to try and musically capture that image that has left its mark on so many hearts who have stood staring up at the night sky. What comes to mind was the line from the movie Contact where Ellie's father told her small moves as she was searching the ham radio dial for other operators to talk to. Jim's album Southern Cross makes good use of this philosophy with the music he has recorded for this release. The slow waves of sound that Jim uses to sonically paint these stars along with the darker feel that the music evokes is perfect for capturing the velvet blackness of space with these small pinpricks of starlight shining so brightly against the darkness. Jim has blended some interesting sound effects into the music itself that made me think of the old sci-fi movies that used sounds similar to those to give you an impression of otherworldliness and that is exactly what they do here in Jim's music. They make you think of someplace that isn't here on earth. It triggers these memories in the listener and it enhances the experience of the music by shifting your mind to a point not of this planet and of course that is exactly what you want to have happen when you are listening to music about a constellation in the sky. Jim has expertly woven these elements together in these 6 spacey tracks of music and maintains this feeling of being elsewhere throughout the entire recording. The music is very even from track to track so that nothing disturbs the listener's journey out into the darkness of space with each song melding very nicely into the next. To me that is an important decision that an artist makes when recording an album like this which is how do I blend the songs on this album so that my individual songs each have their own identity but on the album as a whole the journey will be seamless from beginning to end. Jim has done a great job on Southern Cross because he has created a journey that carries you along on the slow cosmic wave that drifts among the stars for the duration of the album. With six songs that have a running time of 1 hour and 9 minutes this excursion allows a listener to deeply immerse themselves in the darkness of space with some outstanding music as their companion. Jim Ottaway shows that he is a talented composer and musician as he creates the perfect soundscape to go star gazing with. It would be a great to take this out with you on your portable player and simply use it as the backdrop for your natural sky planetarium as you lie under the stars and think about our insignificance compared with the endlessness of the space that lies above us. Although by the time that you reach the track Epsilon the music has taken on a lighter touch and seems to have modulated to a slightly warmer tone perhaps denoting that even space can seem inviting and nurturing as you grow accustomed to your surroundings. It leaves you feeling good about the journey and happy that you took the time to explore the space which you can see from where you are realizing that the insignificance that we feel when we first started looking into space turns into acceptance that we are an integral part of the cosmos no matter how small we might feel in the grand scheme of things. Perhaps Epsilon being the last star in the Southern Cross that we have journeyed to in this song that it is more a song of completion and being pleased that we made the journey of discovery to begin with. Perhaps it illustrates that trips like this no matter how daunting at the beginning are worth the effort when our destination is finally achieved. And maybe at that point you realize that many more such trips will occur in your lifetime and that all of them hold the potential of self-discovery and of finding your place in this vast universe filled with wonders like the Southern Cross multiplied to infinity. Southern Cross is Jim's 24th album and it is easy to see that his many years of experience with synths and working with his music during the creating, recording, mixing and mastering has given Jim a great understanding of how to achieve such a wonderful range of moods with his music and it is easy to see on Southern Cross that he has taken all of this experience, understanding and emotion and poured it into this latest release. I look at the last song on this album as a time to journey back home and celebrate the trip that has just been made. You will hear the closest thing to a beat on this song as there is a pulse that lightly punctuates the synths that have been your constant companion during the previous parts of this excursion. The sounds of a piano offer you a further reason to come back down to earth as the soundscape begins to take on a more terrestrial feel as the album winds down from the journey you have just been on. While I was unfamiliar with Jim's music before I received this album I must admit that it was a pleasant discovery to find such an accomplished musician that I had not heard of before. Only goes to show that the talent that surrounds us in this world is vast and requires us as listeners to be vigilant and keep exploring and searching to make sure that we don't miss a talent like Jim's who was new to me even though he had released 24 previous albums. 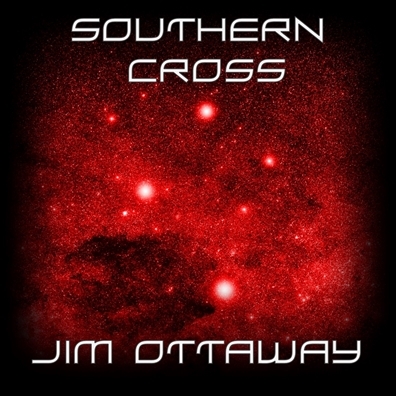 You'll want to look for Southern Cross and get your own copy so that you can take many journeys into the night sky with Jim's music as your companion. And remember just because the album is called Southern Cross doesn't mean you can't use it to look at other constellations no matter where you may find yourself when your eyes turn skyward. Enjoy! Perceptual Defence is a pseudonym of a Swiss-Italian sound constructor and psychotherapist Gabriele Quirici, who is based in Rome. As an owner of rather broad discography, during the last few years he releases his albums through German SynGate Records and its sublabel Luna. While looking back, the first self-released albums have been released at the beginning of this millennium, these are mostly soundtracks created for various Musictherapy Groups and Butoh Dance Performances. However, as mentioned by Gabriele Qurici, his first official album, "Sounds From Space" was released in 2004 on Gianluigi Gasparetti/Oophoi's label Umbra. Known as a frequent collaborator, the list includes fellow soundscapers such as Oophoi, Tau Ceti, L.E.M., Syndromeda..., "Time Lines" double album is no exception. Actually, firstly this album was planned as a solo release, but after shaping the first personal "Time Lines", Gabriele has decided to invite his kindred musical souls to participate on the second half of this ambitious recording. Out since February 2015 on SynGate, the album is packaged in a standard double jewel case with 4-panel front cover including additional 4-page insert, while the inside of the back tray card features poetry by Annemarie Borg, one of the guests on "Time Lines". Digital art credit goes to Kevin O'Neill, while SynGate's Kilian Schloemp-Uelhoff is credited for additional design. The first half of "Time Lines", entitled "Personal Time Lines" and collected between 2010-2014, unfolds with nearly 9-minute "Dreaming Time", where enigmatic washes are counterpointed with invigoratingly pulsing sequences and mesmerizing cyber-biotic traceries. Extra euphorically tinkling enhancements sneak in towards the end, while distant longing blanket consistently rides atop. A very strong intro!!! The next, equally long piece "Time Travelers", is announced by droning overture, but soon the center stage is invaded by vigorously sequenced cascades and climaxes, intensely commingling high-spirited time-lapses with quieter introspective glimpses. The title track, "Time Lines", reveals with cavernous echoes, which are quickly perforated by expansive dronescapes. Then glimmering sequencer arrangements join the foreground and persistently hypnotize the ears along with glancing sonic pungency, while panoramic, yet serpentinely intriguing drifts guard above. "Meditative Times", with 12:43 the longest piece on "Time Lines", amalgamates liquid sounds with soothingly emerging sequencer patterns. Perpetually titillating pulses are safely backed by expressive sinuousness, but the journey is almost overrun by auxiliary cyber-tech intensifications. "Hypnotic Lines" is an 8-plus minutes long composition transporting the listener into futuristic sequencer-driven Eden, where nearly ear-piercing, briskly bubbling sequences relentlessly arise, percolate, shimmer, fascinate, culminate and evanesce. An aural bliss awaits here, bravo, Gabriele!!! "Walking Time" returns into more relieving terrains, sculpted with endless spirals of joyful flickerings, mesmeric chitters and airy melodic nostalgia. Heavenly choirs clandestinely join this tranquilizing laid-backness before seamlessly transmuting into insistently magnifying helixes. "Child Time" immediately attracts with its elated structure of commingling synth sparkles and celebrates the birth of Gabriele's second daughter Irene. "The Circular Sound (Healing Time)" Gabriele dedicates to Camilla, his little patient, who has finally found after many years of therapy his strength to live. It's utterly gorgeous, euphorically charged piece meticulously bridging blissfully ricocheting sequences with warmly embracing horizons. What a beauty!!! "Saluto Ad Una Persona Importante (Sad Time)" was composed at April 13th, 2013, at a sad afternoon, one day after the passing of Gabriele's cousin Gianluigi "Gigi" Gasparetti. Ambiguous dronefields are masterfully coupled with exquisitely eloquent tapestries, it's a gracefully drifting and grippingly obfuscated composition!!! Gigi/Oophoi was always Gabriele's spirited musical mentor and this composition is a truly embracing tribute to this unforgettable Lord of unfathomable drones. Molte grazie, Gabriele!!! 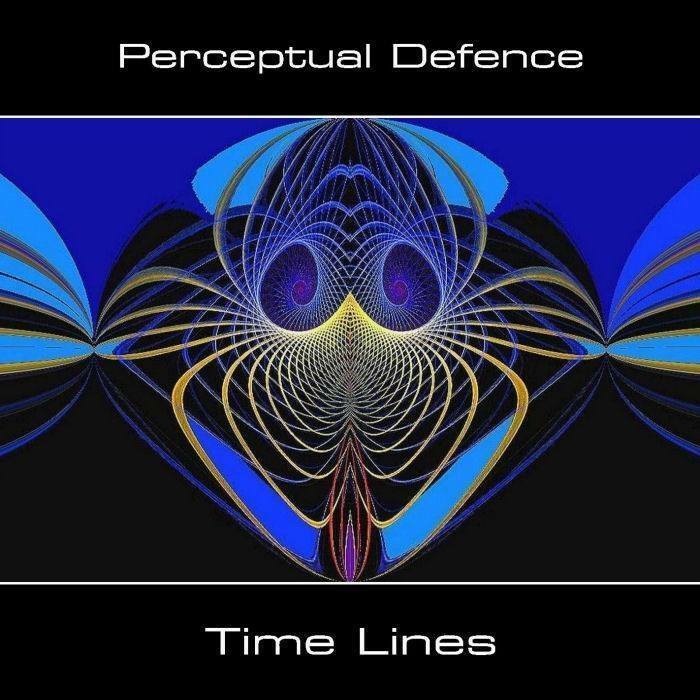 "Friends Time Lines", the second half of the double set, reveals with "Inner Space Time", on which Perceptual Defence is joined by Syndromeda, a Belgian solo project by Danny Budts, who has already collaborated with Gabriele Quirici on two SynGate/Luna albums "Fear Of The Emptiness Space" (2014) and "Wormhole" (2015). Deeper drones are soon pervaded by sharply oscillating electronics with some rawer elements thrown in, all together blended with ethereal meridians. Additional high-piched crescendos ascend as well. A quite mindscaping beginning!!! The next guest joining the line-up is Dutchman John Valk Heslinga aka Waveman, who is, except being a synth player, probably better known as a host of EM radioshow. "Friends Time" is the title of a 9-minute piece blending perpetually winding intangible hypnotics with guiding cathedral flavored arpeggios. On "Metaphysical Time" Gerd Weyhing, a German progressive rock and ambient guitarist steps to the stage and adds his quite experimental, weirdly nuanced and piercingly buzzing electric guitar riffs to Perceptual Defence's insistently sparkling synth peripheries. This piece really drives my ears nuts!!! And this rather bizarre journey continues also through "Ricochet Time Lines", a track hosting another guest from The Netherlands, Ren� van der Wouden, who acts under the moniker of Rewo. More minimal, slightly cavernous timbres melt with coiled hallucinogenic signals. This alloy inconspicuously transforms during the closing quarter into warmly sweeping panoramas percolated by yearning sequences. "Subway Time To Castro Pretorio Station", featuring Ian Keely aka Kilian Schloemp-Uelhoff, the boss of SynGate, unfolds, as predicted, with urban subway sounds, which are soon substituted by calmly revealing hidden oscillations, while glimpses of eccentric fragments appear here and there. Piero Monachello from Italy, who acts as Alluste, adds his soundscaping talent to "Silence Time", the second longest composition on "Time Lines". On the overture more mysterious, when commingling expansive vistas with translucently filigree tinkles, but later this scenario is infiltrated by tranquilly illuminating rhythm paragons. This one rules, bravissimo!!! Sylvain Mazars, the French sole protagonist behind Pharamond, ventures together with Perceptual Defence into infinite spatial emptiness entitled "Cosmic Time", where unfathomable drones pair with poetic, flute-like passages, before fresh electro cadence steal the show, with some 1970s synth evolution thrown in. On 11-plus minutes long "Rainy Time" prolific German soundsculptor Michael Br�ckner enters the scene, where meandering and tiding sequences are blended with gorgeously memorable rural sceneries, filled with showery authenticity, rapturous breeze and glorious euphoria. Certainly one of the pinnacles on "Time Lines"!!! On "Reflection Time" Enrico Cosimi, known as Tau Ceti, Gabriele's companion on Umbra/Penumbra labels, takes the spot and together deliver perplexingly droning and weepingly waving spectacle reinforced by elusively hypnotic rhythm currents occasionally augmented by cyber-biotic ephemerons. Another top-notch synergistic performance!!! This flamboyant journey is closed with "Moments Frail", on which Perceptual Defence is joined by French (with Swedish background) artist Annemarie Borg, the founder of Antara Project based in London. An exquisitely celestial odyssey guided by Annemarie's graceful choirs and spoken poetry fortified by intermittent cyber-tech subtleties crafted by Perceptual Defence brings this accomplished project into its finale. Enthrallingly balsamic conclusion!!! "Time Lines" double album offers 153 minutes of emotionally driven and abundantly flavored collection of personal and shared, mostly touching moments. A quite massive gathering of like-minded spirits with soundforging talent showcasing variety of distinguishing insignias. Sure, quite broad array of styles is explored, especially on the second disc, but that's quite obvious due to its wide line-up of diversified guests, although still linked to its principal creator. When turning to the most recent activities, a third collaborative album between Perceptual Defence and Syndromeda is on the way, "The End Of The Universe" should be out on SynGate, the release date is still unknown. And the latest news also speaks about a double live solo album entitled "Life Lights In The Shadow", this one is scheduled on Dutch label Databloem. So stay tuned!! !